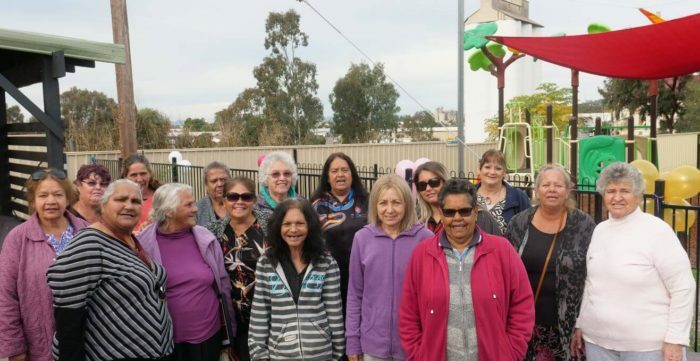 Gunida Gunyah is passionate about providing opportunities for Aboriginal people. We are committed to supporting our tenants and community members to develop, facilitate and participate in community projects and ideas. Three key areas have been identified as a priority for all of our sponsorship and/or donation opportunities. Gunida Gunyah provides in-kind sponsorship opportunities for community groups and non-for profit organisations and services. In-kind sponsorship includes event equipment such as jumping castles, movie screens etc. We sponsor community groups, teams and community projects. Please note that we are unable to sponsor an individual. While there is no deadline for applications for sponsorship throughout the year, sponsorship allocations may be exhausted at any time. Name, address, contact details and ABN of your group or organisation. Highlight how your project fits within Gunida Gunyah’s key areas. Requests for sponsorship can be mailed in or taken into the office in person. Sponsorship and donations will be awarded at the discretion of the board. Allocations have been exhausted for the 2018/2019 period. Please check back on this page for future announcements regarding 2019/2020. 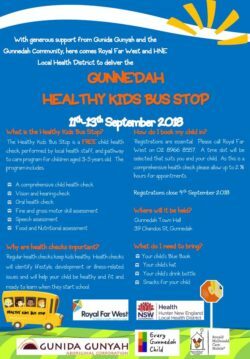 The “Every Gunnedah Child”, bring the Far West Bus to Gunnedah project.